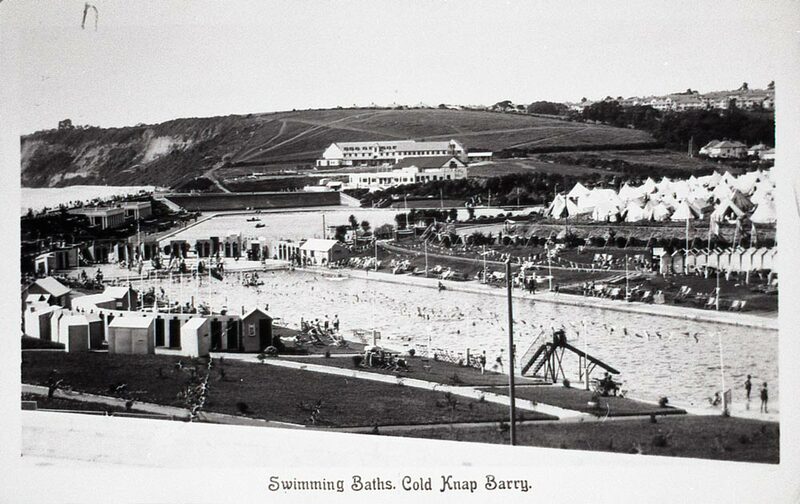 A black and white photograph of a view across the swimming pool on Cold Knap, looking towards Bindles Night Club. A collection of tents can be viewed to the right of the picture. Café and Ballroom at Bindles Night Club. Barry Island Boating Lake, Barry. The Drive & Lake, Cold Knap Barry. 943.